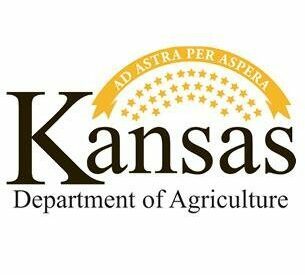 MANHATTAN, Kan. ­­– The Kansas Department of Agriculture will host an Agribusiness Development Workshop on Feb. 16, 2017, from 5:30-8:30 p.m. in room SW229 of the Seward County Community College Student Union, at 1801 N. Kansas Ave. in Liberal. This workshop will provide Kansas farmers, ranchers and agribusinesses with resources, current business development and organizational contacts to assist with start-ups or expansions. Featured speakers at the event will represent KDA; Seward County Economic Development; USDA Rural Development; Kansas Department of Commerce; Network Kansas; Kansas Department of Wildlife, Parks and Tourism; Kansas Small Business Development Center; a local ag business; and a local financial institution. The KDA Division of Agriculture Marketing received a U.S. Department of Agriculture Rural Business Development Grant to help fund the workshop. Established in the 2014 Farm Bill, USDA’s Rural Business Development Grant is a program intended to help with technical assistance, training and other activities to allow small businesses in rural areas to expand. KDA is also holding five additional workshops in the following areas: January 19 in Russell, February 2 in Emporia, February 9 in Winfield, February 23 in Norton and March 2 in Hutchinson. KDA is committed to providing an environment that enhances and encourages economic growth of the agriculture industry and the Kansas economy. This workshop will provide support and assistance to help make Kansas businesses more successful. A light meal will be available for those who register prior to February 13. To RSVP, email your name and workshop location to [email protected]. Contact Lynne Hinrichsen at [email protected] or (785) 564-6757 with any questions.